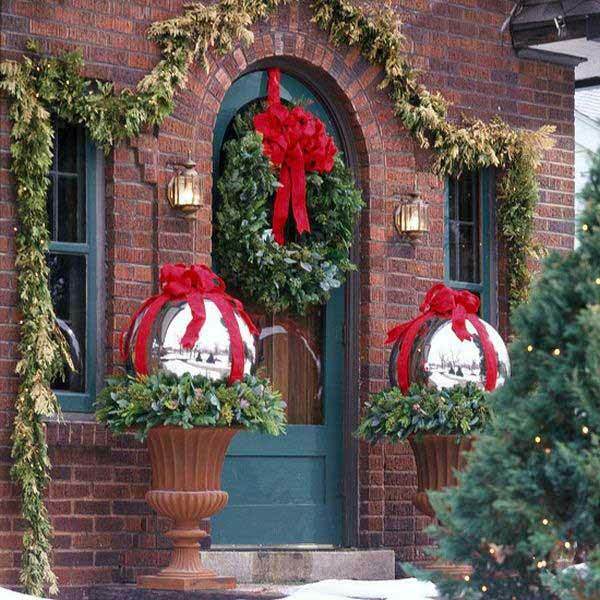 Christmas is coming, you must have been expecting the big holiday season and want to give a great closure point for the winter! 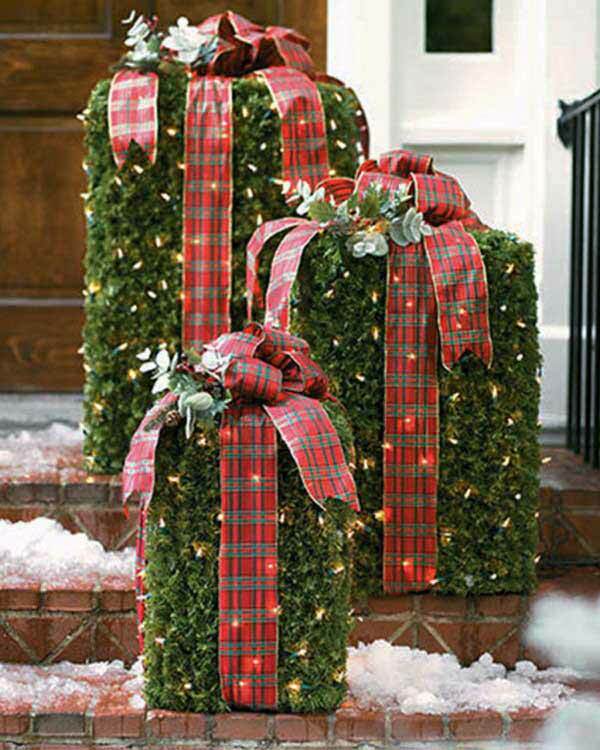 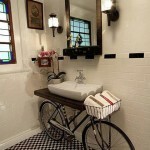 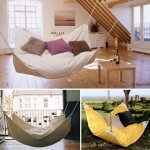 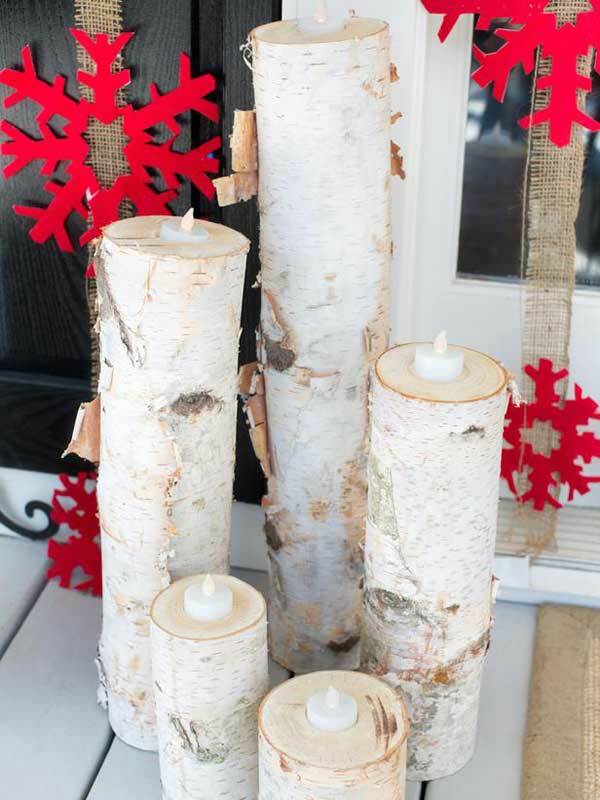 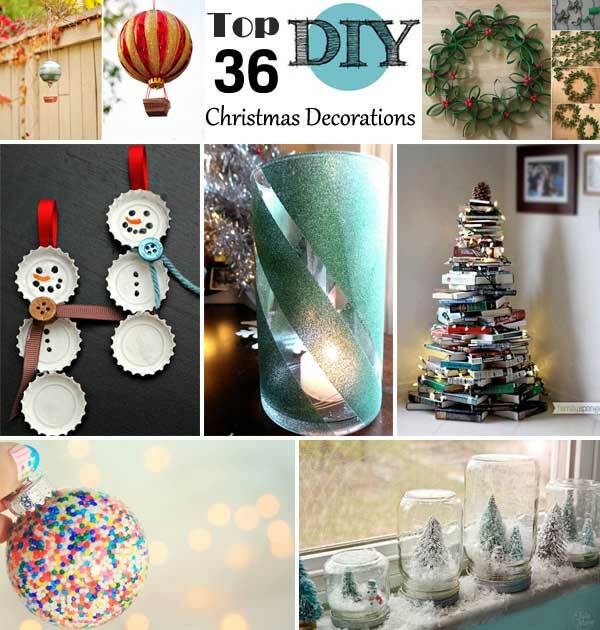 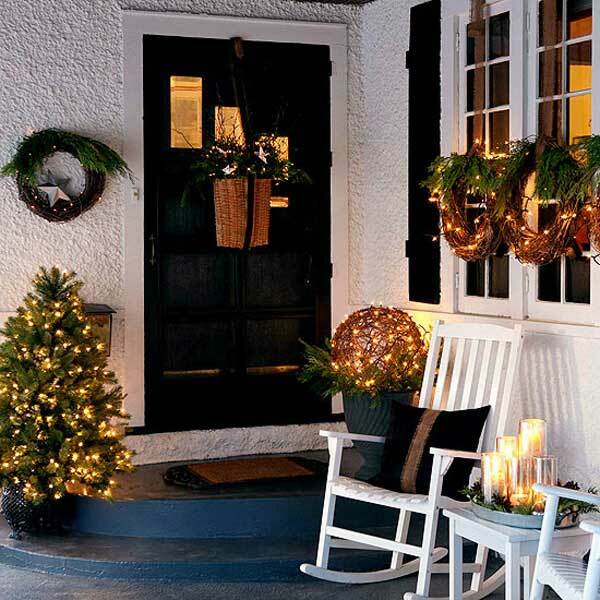 Then it’s time to dress up your holiday home and make its best. 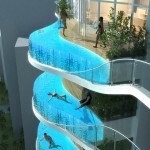 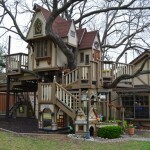 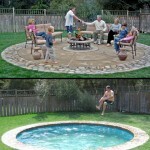 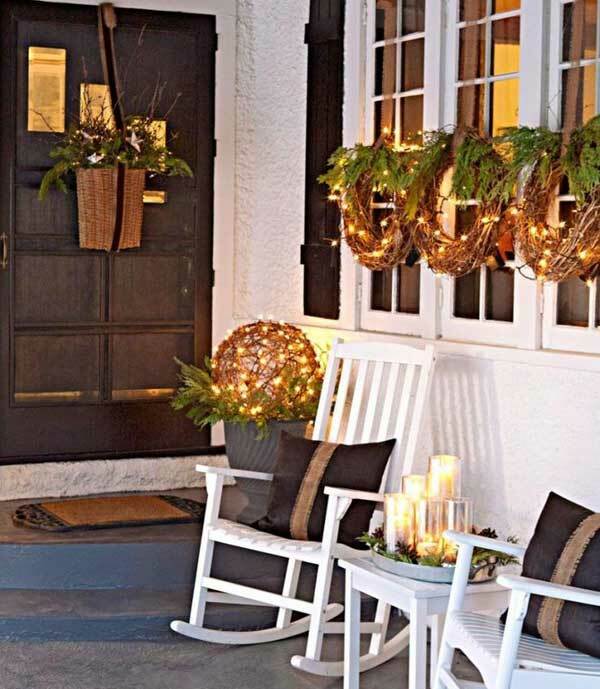 Besides interior decor, you need to pay attention to exterior. 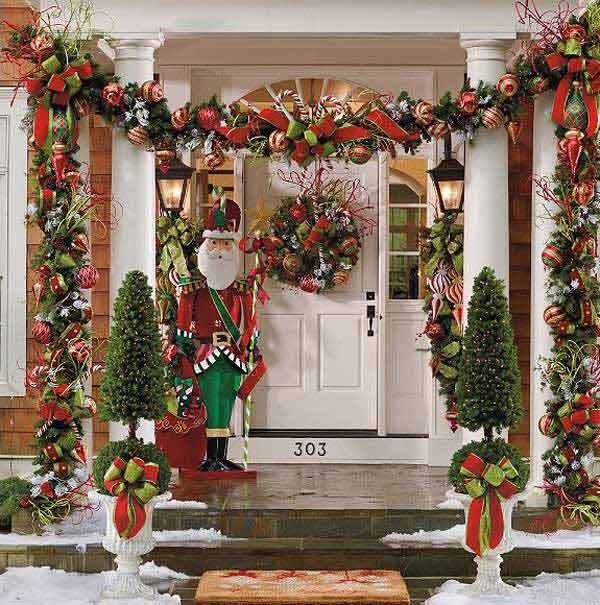 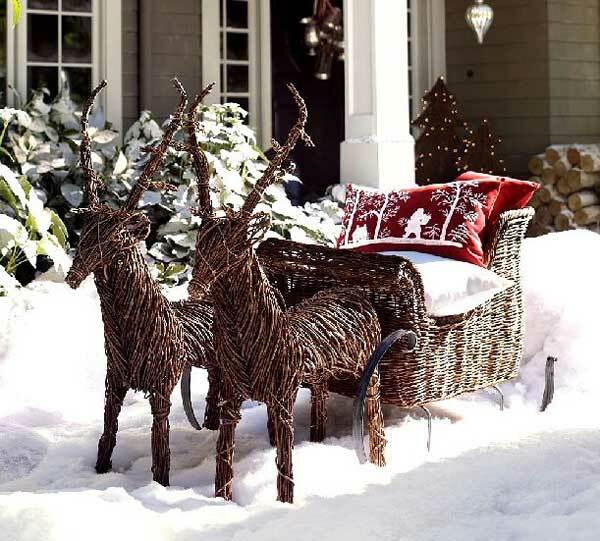 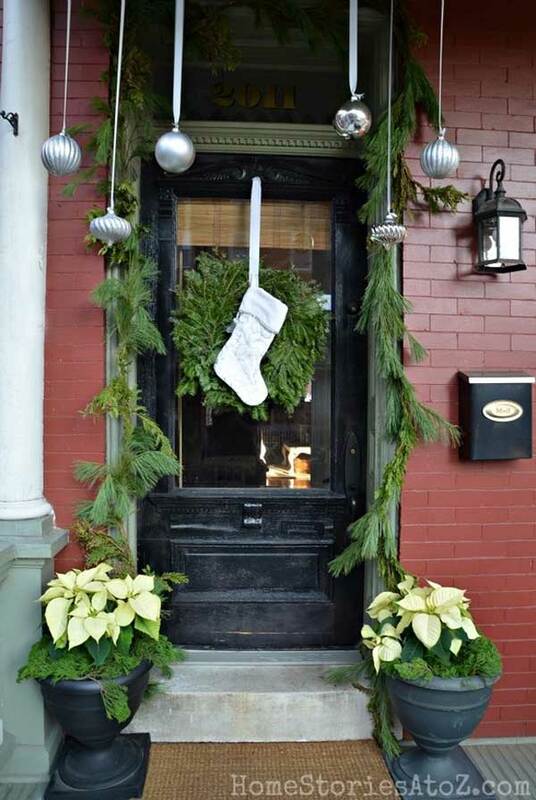 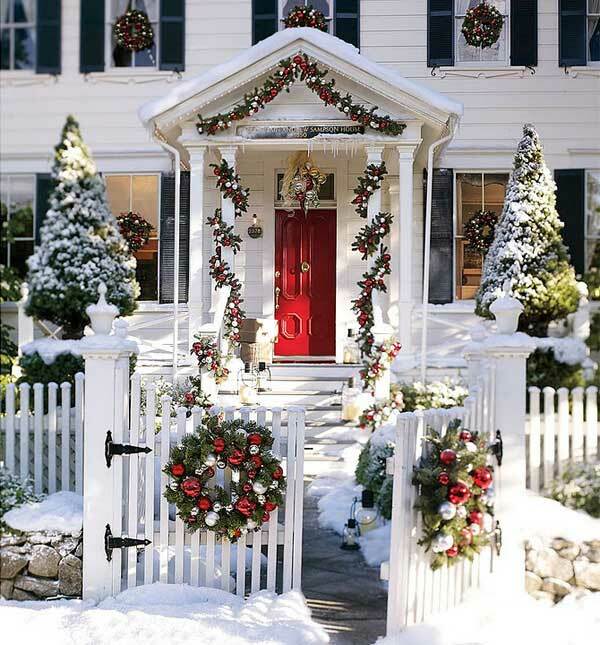 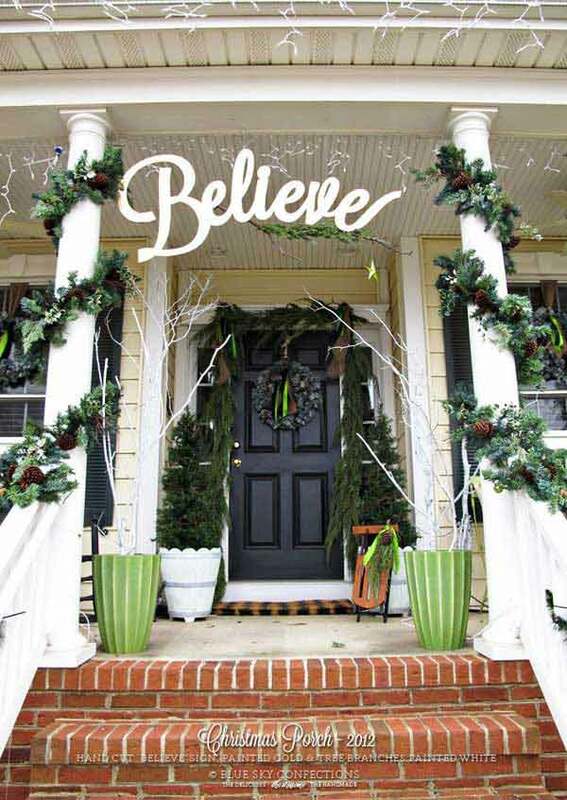 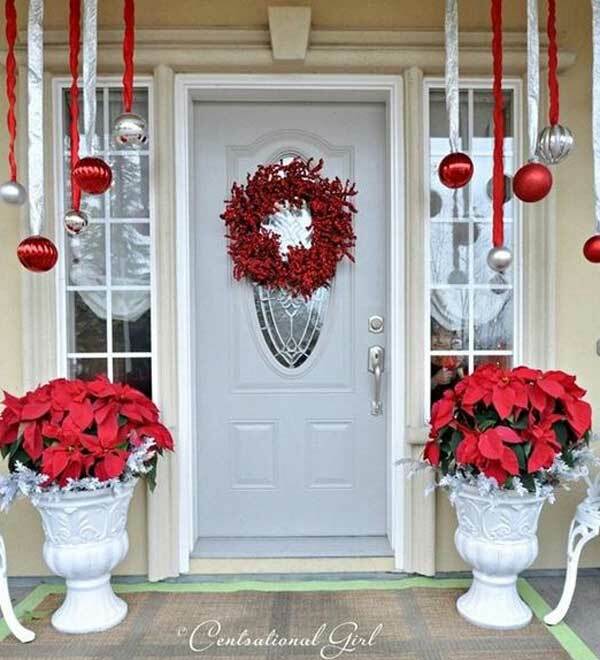 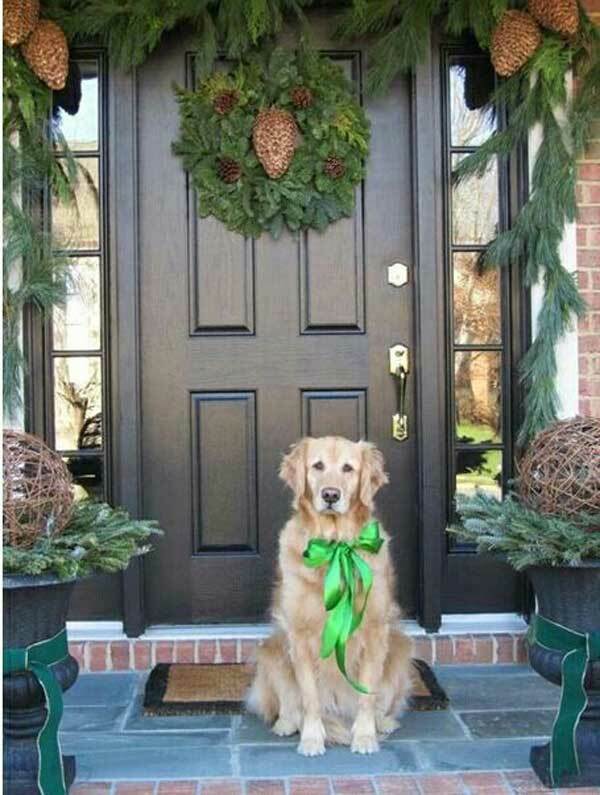 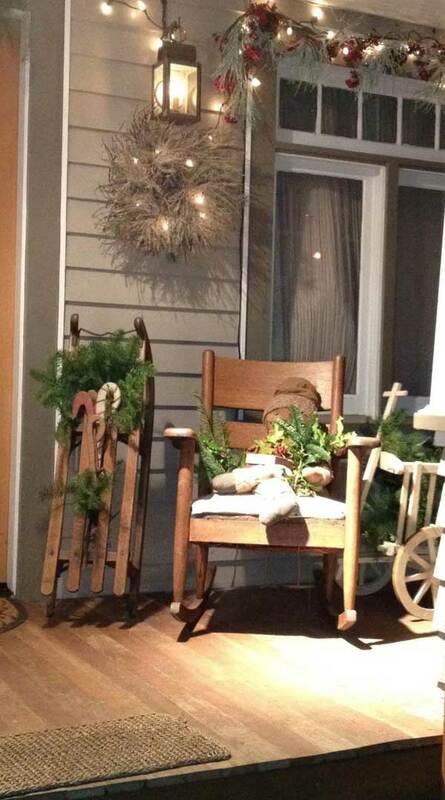 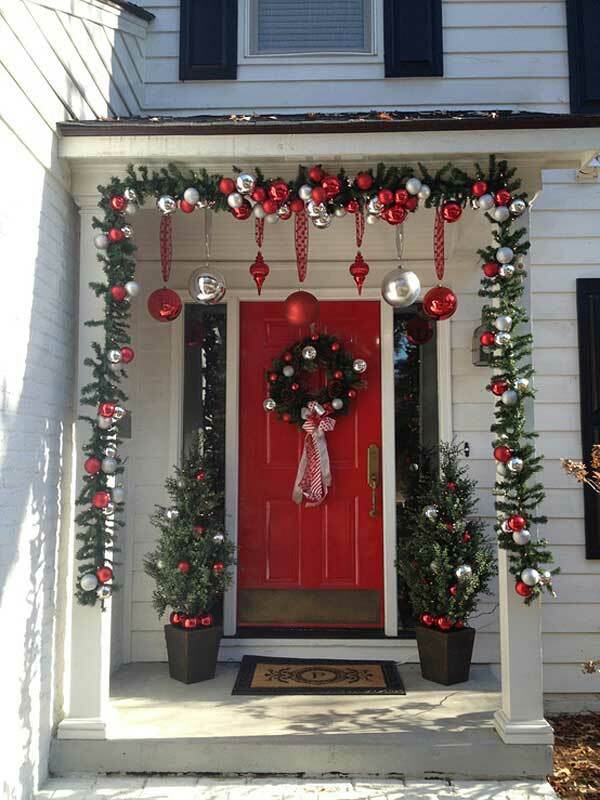 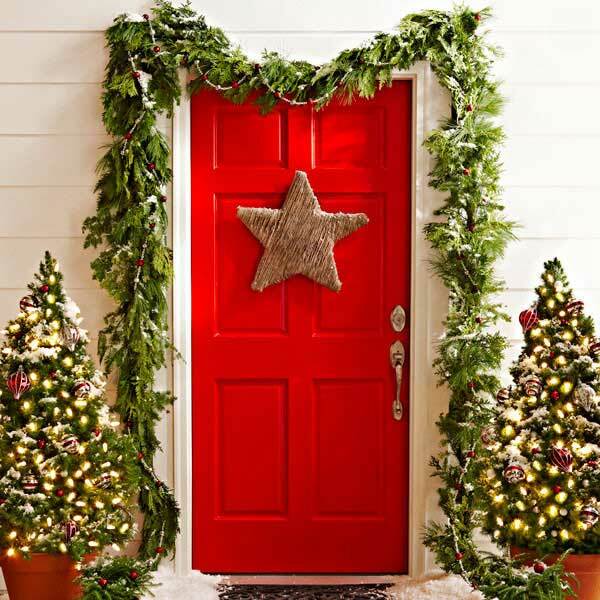 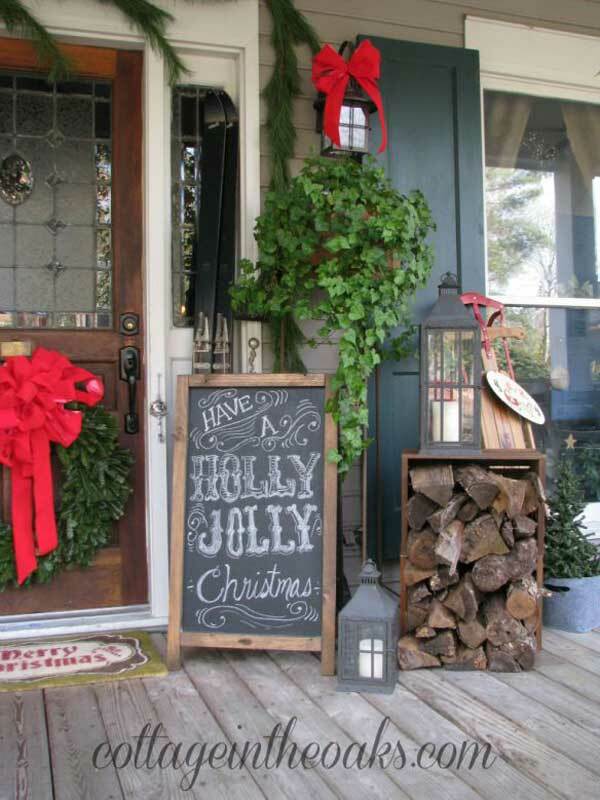 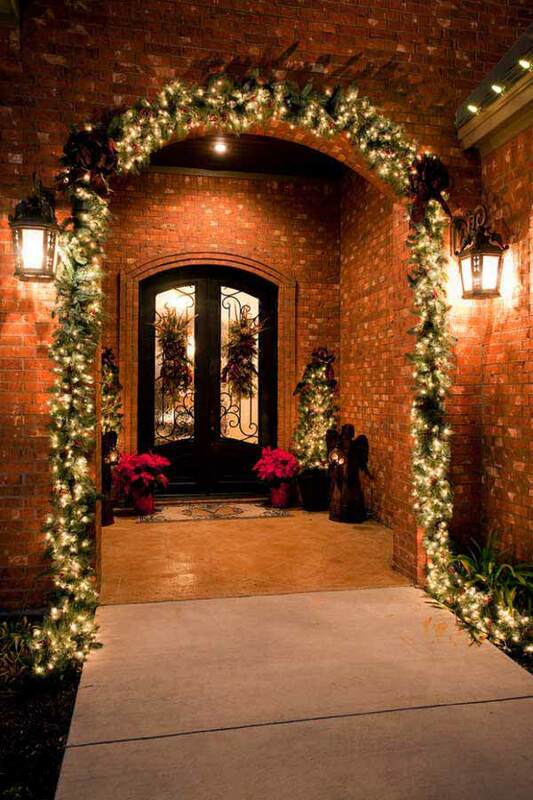 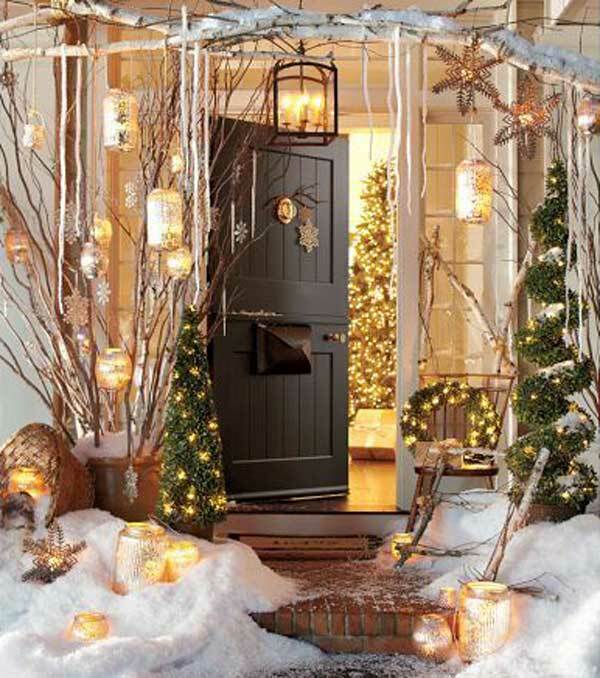 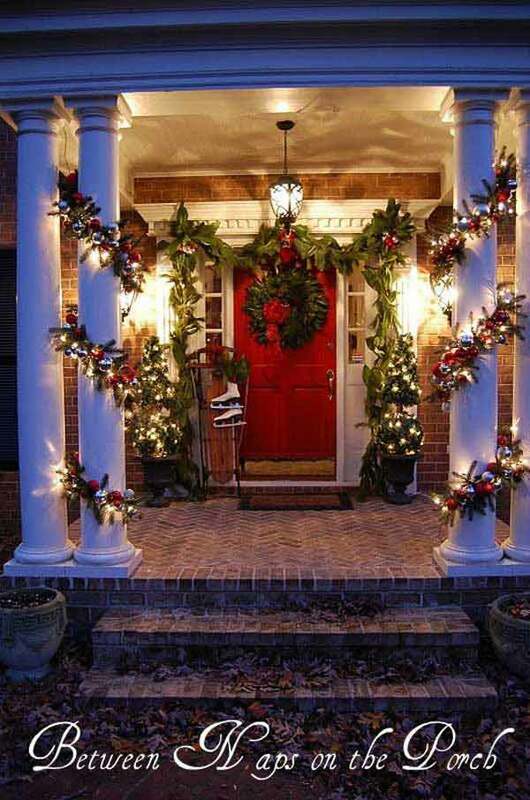 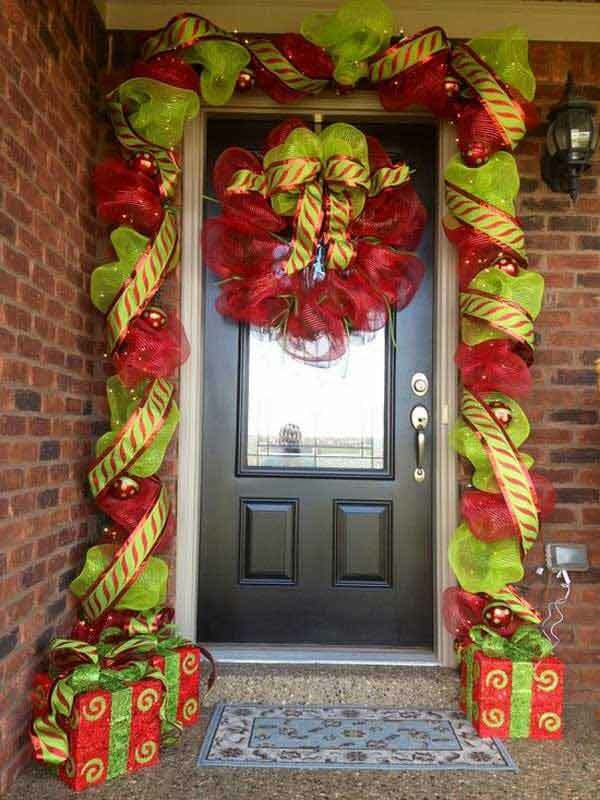 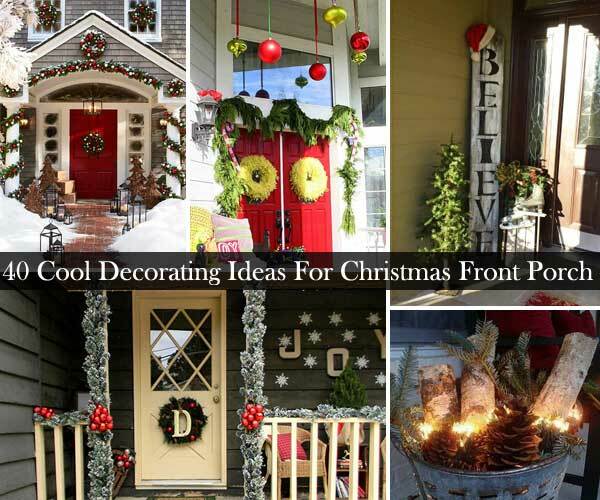 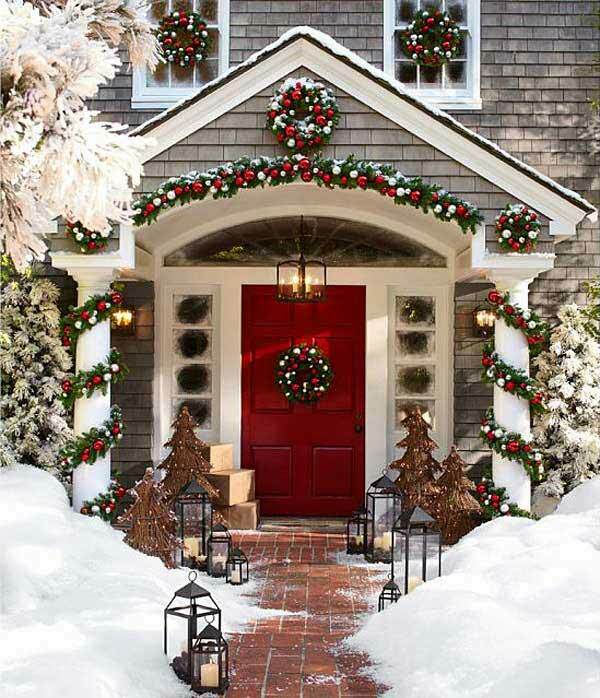 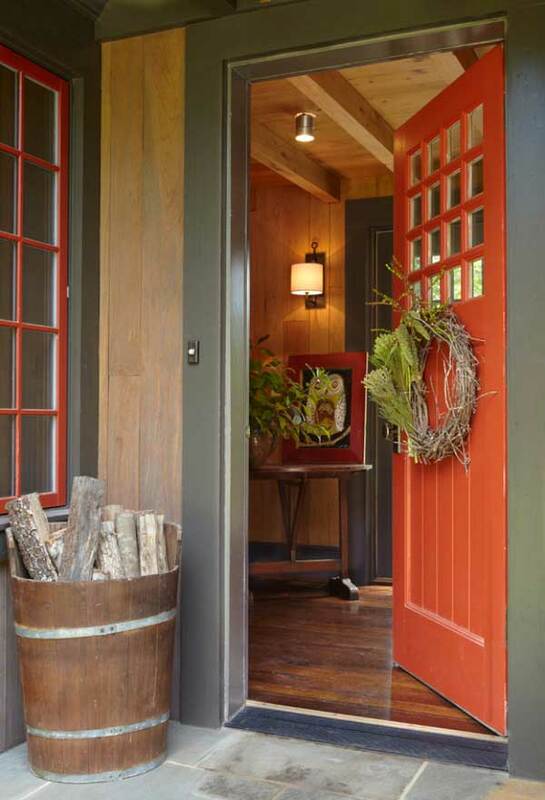 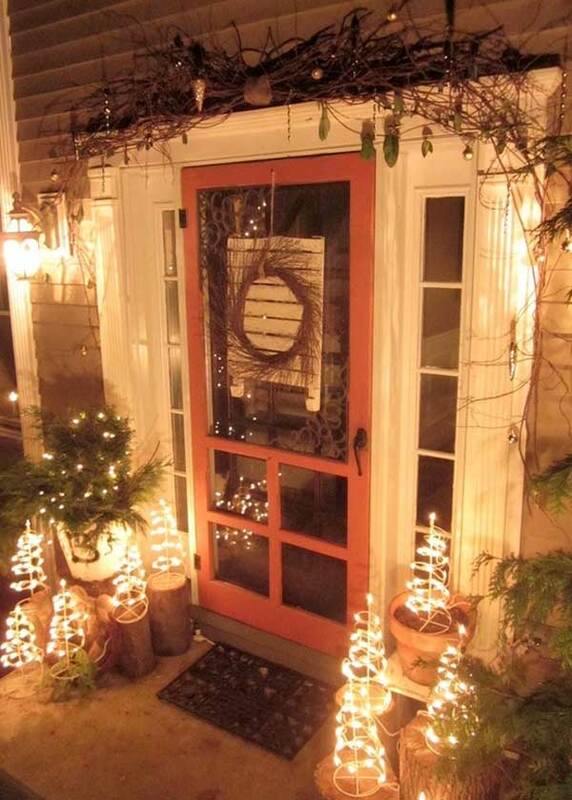 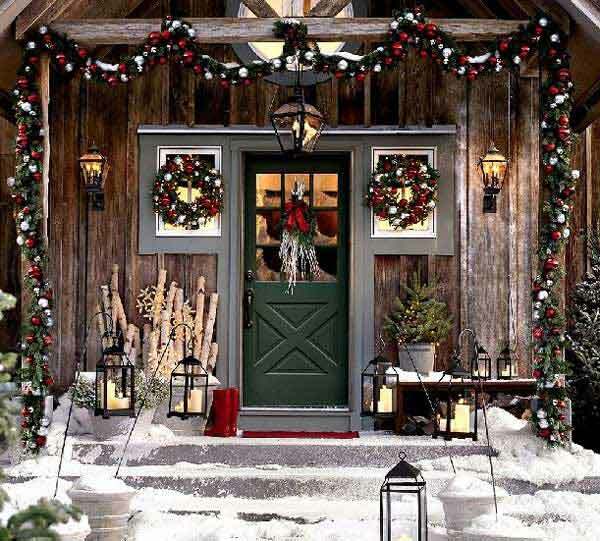 Decorative front porch and front door help to create a festive atmosphere and greet your guests. 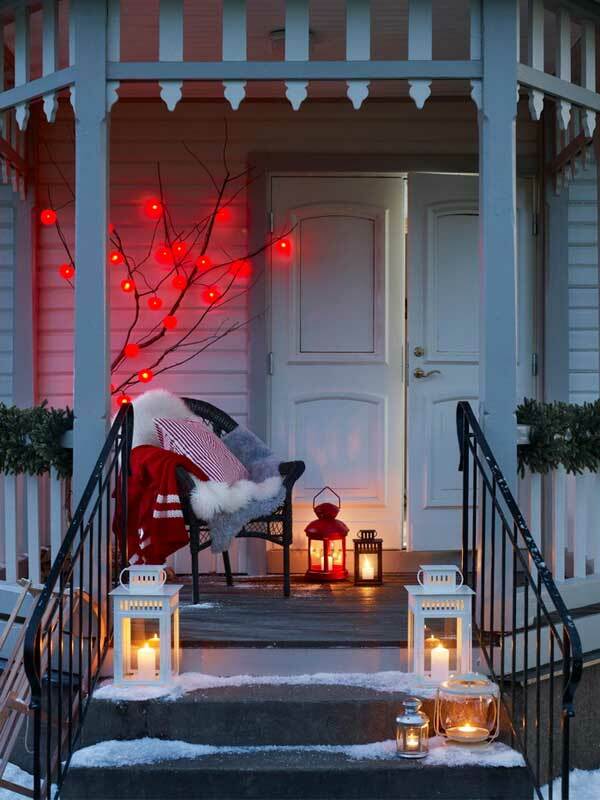 For front porch with staircase, you can place two rows of lovely Christmas trees on both sides decorated with glitter balls and lights, it’s a great welcoming. 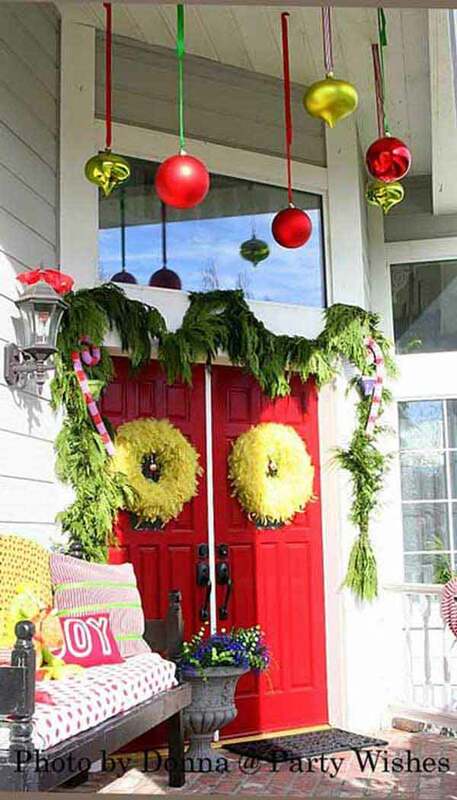 Hanging garland at the entrance, it reminds you of holiday immediately. 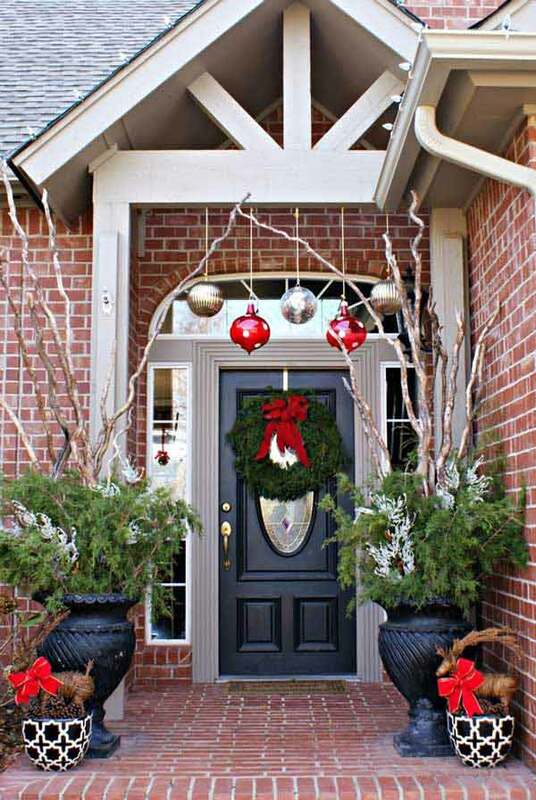 Branch wreath decorated with balls, ribbons and pinecones can be your most easiest and simplest DIY front door decoration. 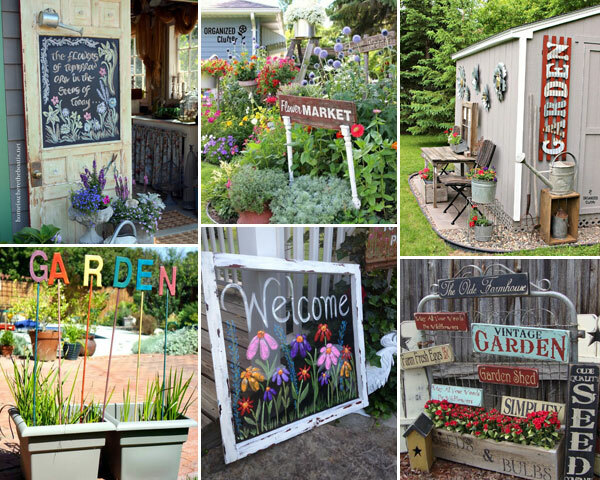 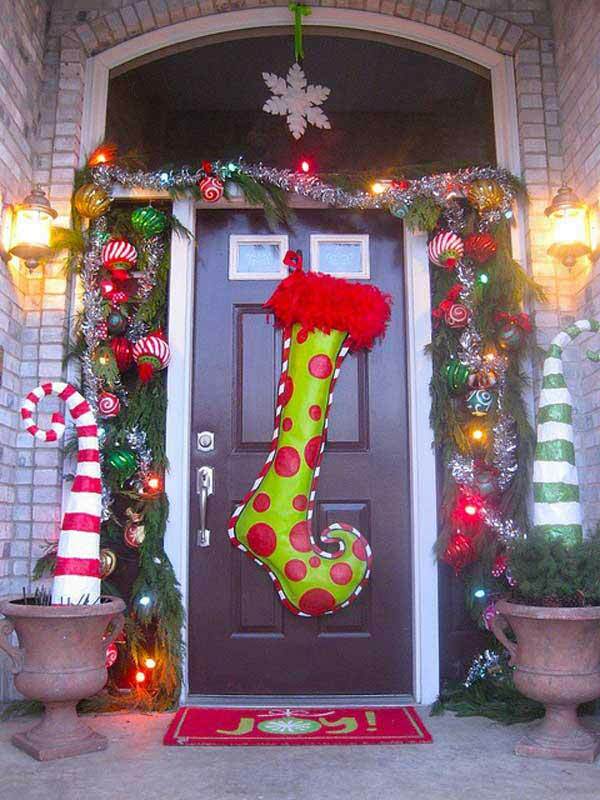 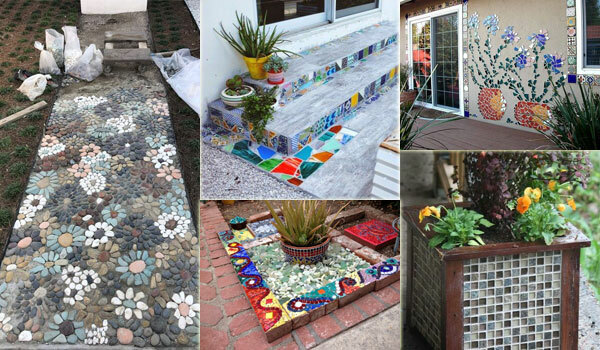 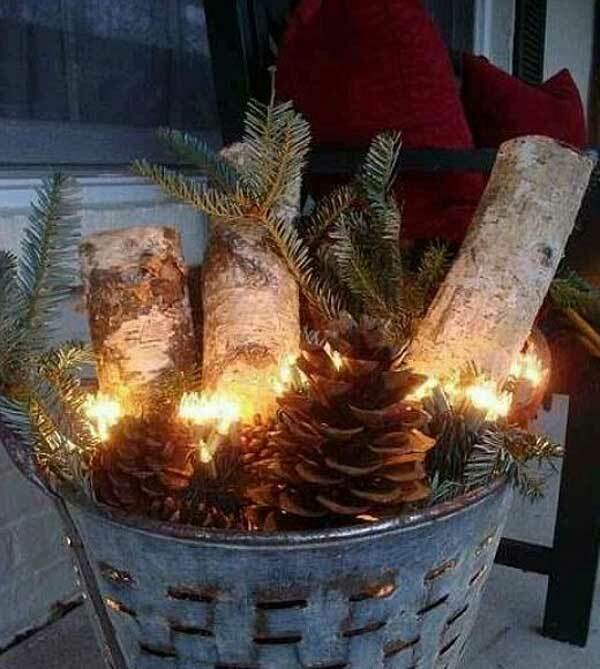 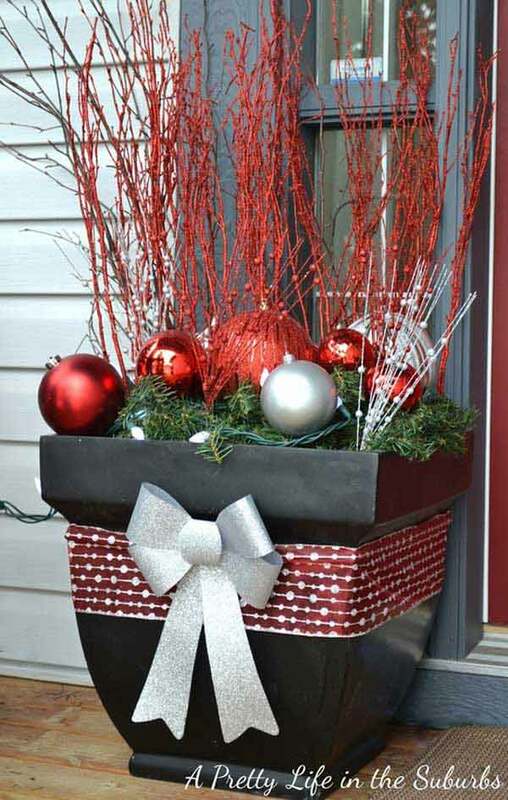 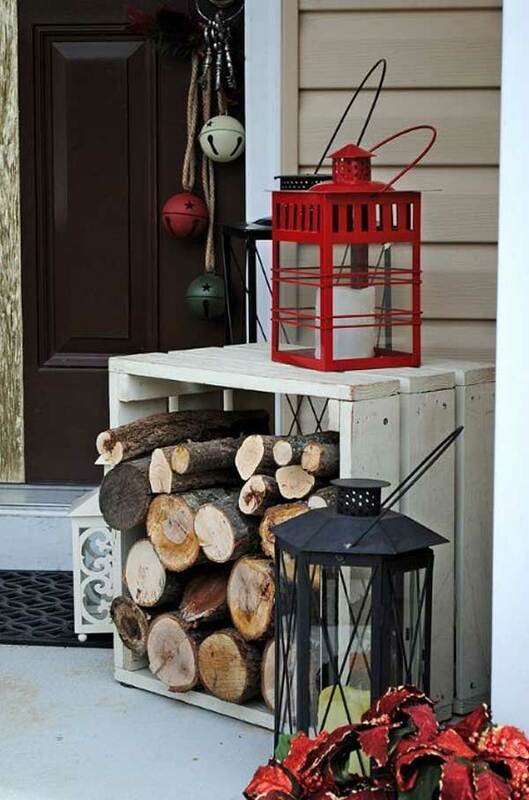 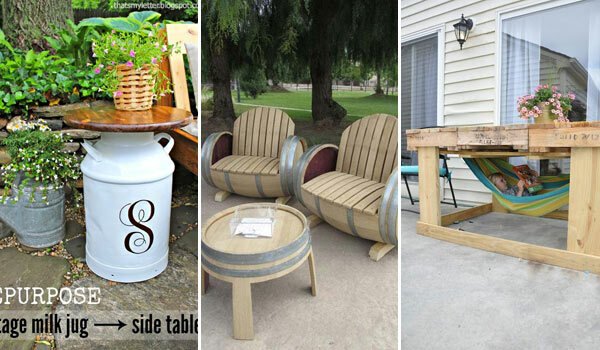 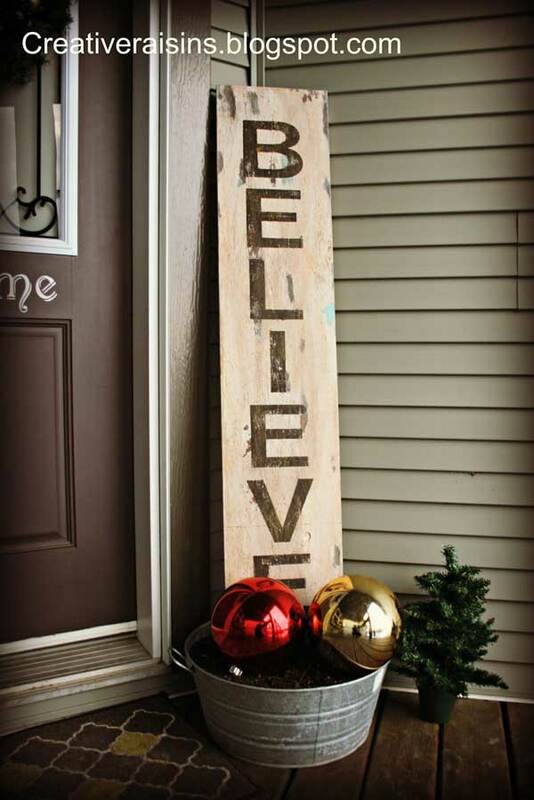 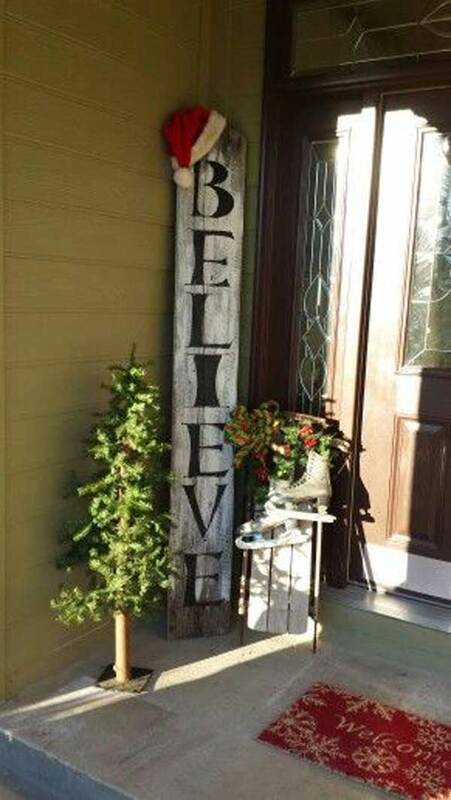 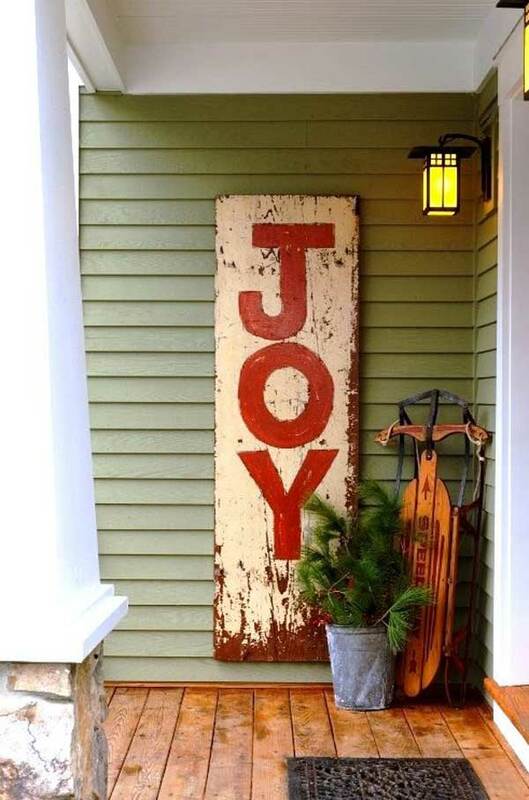 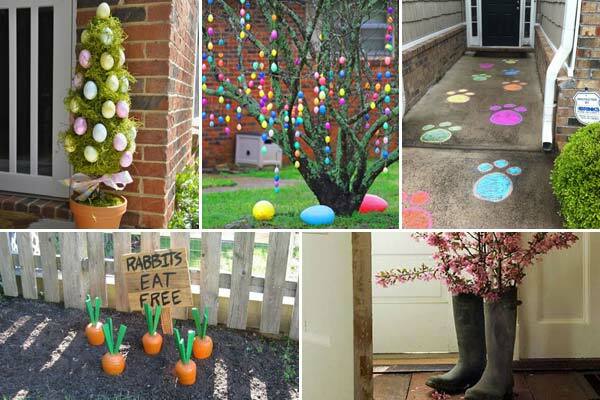 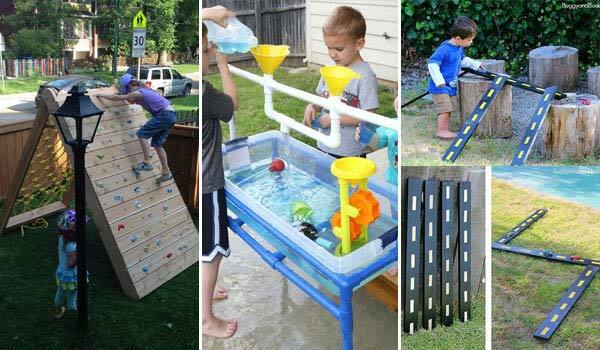 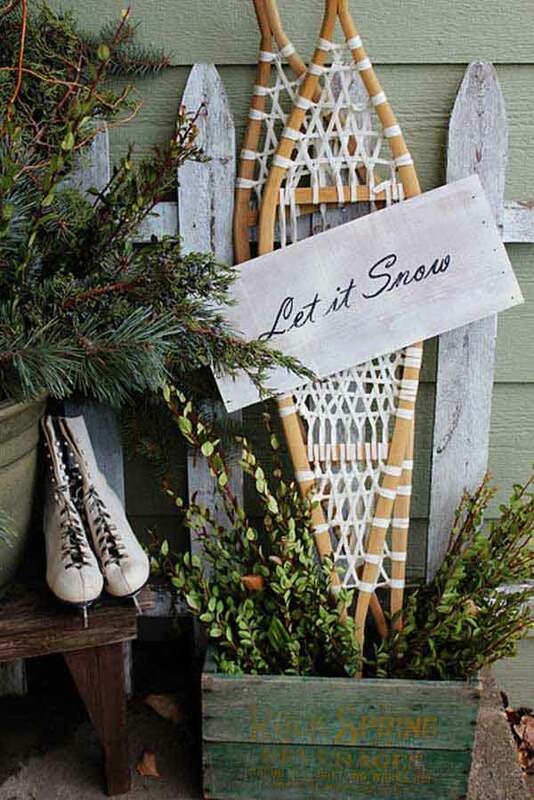 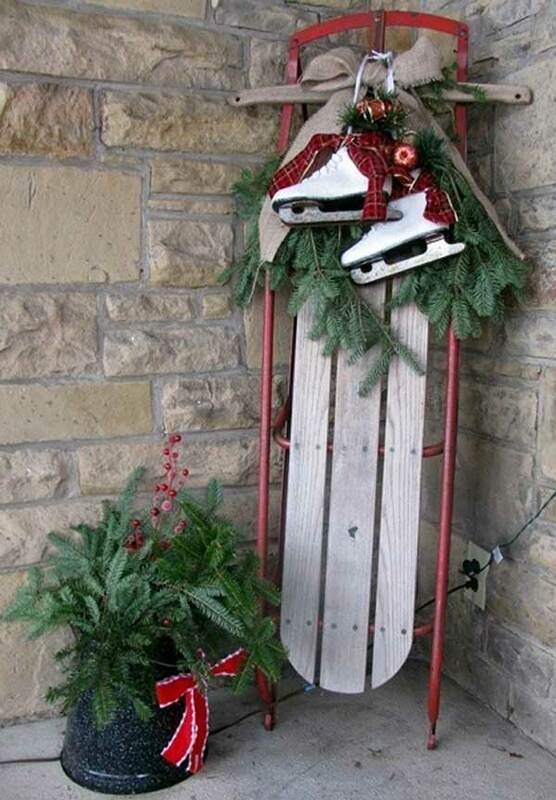 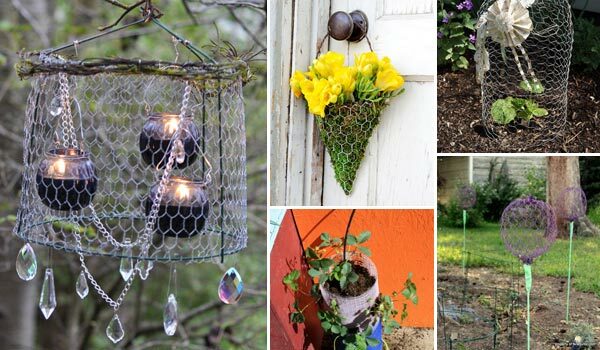 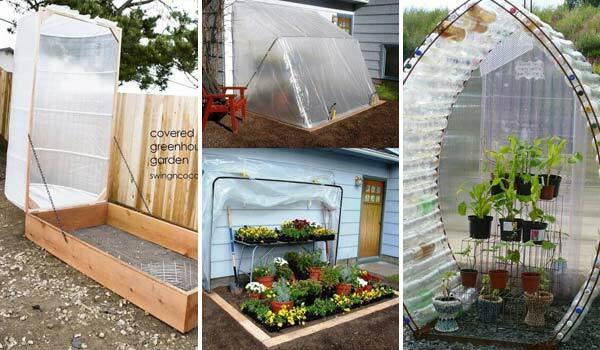 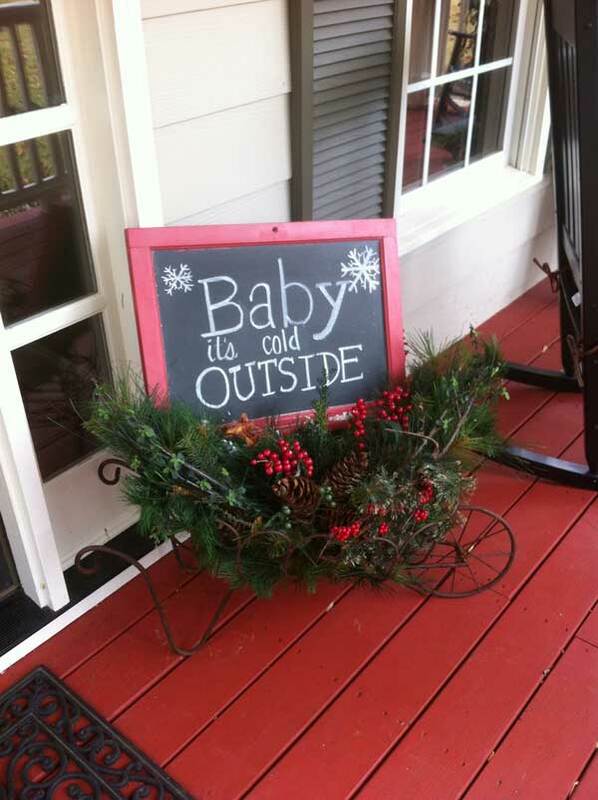 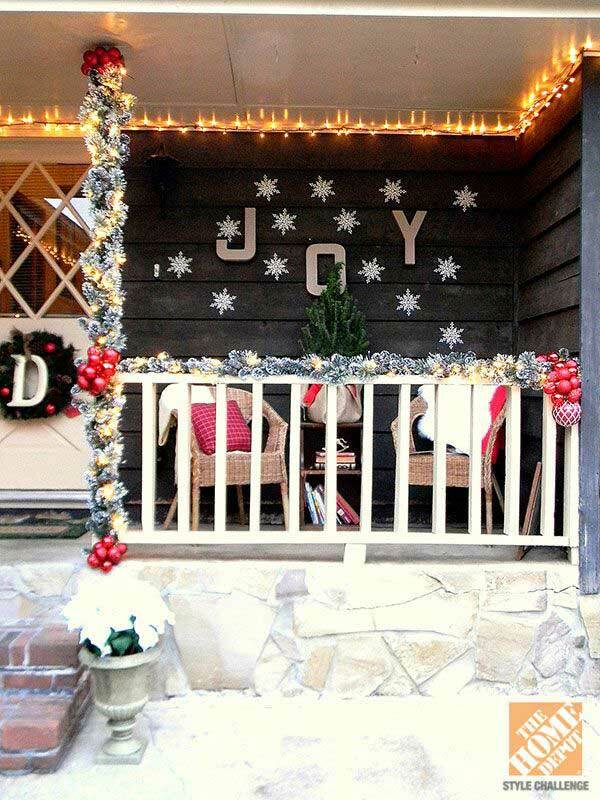 Of course there are so many other creative ideas to decorate your porch. 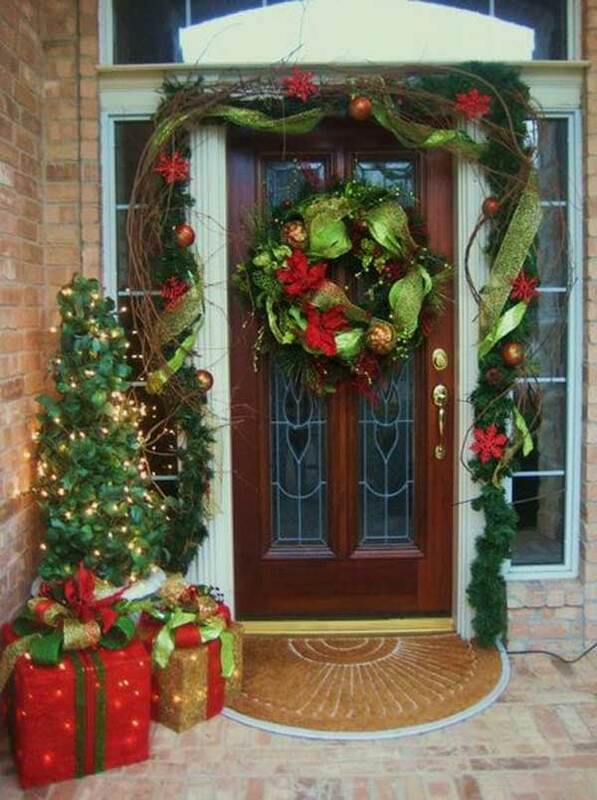 Before the magic of Christmas hits the air, a wonderful preparation will be a very nice embrace. 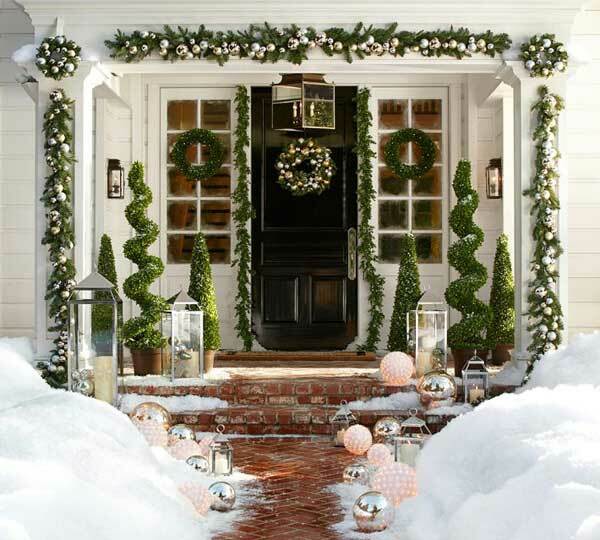 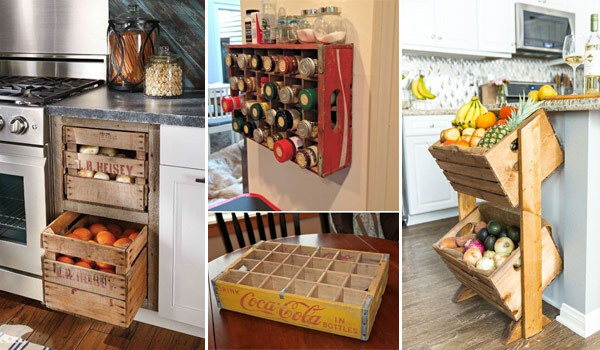 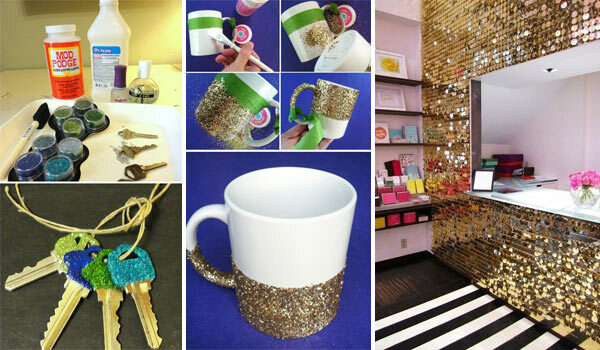 Check our 40 cool decorating ideas and they always work!